I really believe attitude and gratitude make a huge difference in our lives. The best test for a good attitude was when I was diagnosed with cancer almost 14 years ago. It was devastating to hear that dreaded word. I had two choices: feel doomed or fight for my life. Thankfully, I chose to fight and thought: This will not get me. I will beat it! Keeping a positive spirit, doing things that made me smile and laugh, support from family and friends is what helped me through the most difficult year of my life. It’s one of the main things I’m grateful for today. Gratitude and a happy heart go hand in hand. The more you give thanks, the better you feel. The opposite is often true too. When we grumble and groan about life, we open the door to more hardship. We all have bad days or times when things aren’t going well. It’s the course of life. I find it helpful after ranting to turn it around and recount all of my blessings. I always find the gratitude list is much longer. Pam Grout, author of E-Squared and E-Cubed believes our thoughts can create reality. Love her recent blog on gratitude. 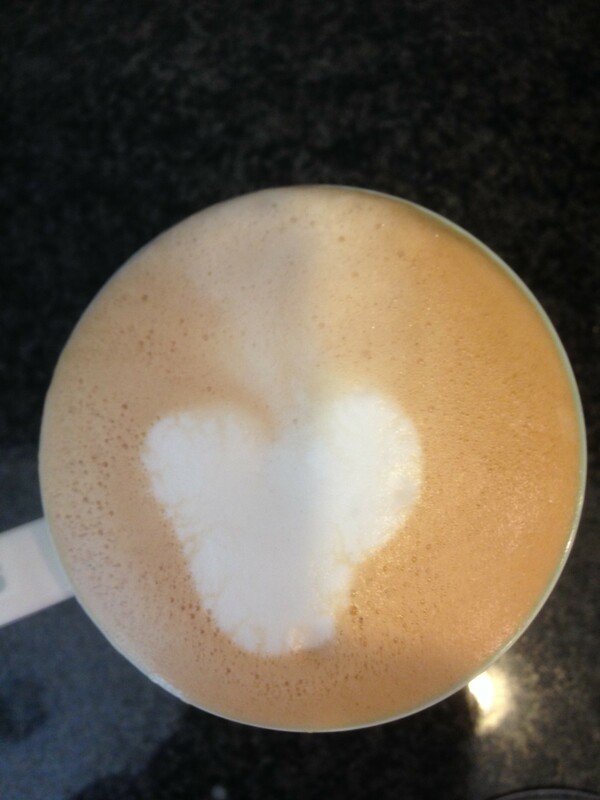 As I continue to feel grateful, I really do feel happier, and it makes me smile when hearts randomly appear in my morning coffee. This entry was posted in Healthy, Heartwarming and tagged Gratitude, Greater Good, happy heart, Inspiration, Optimism, Pam Grout by Michelle. Bookmark the permalink. You are so right about attitude and gratitude. Both have helped me in my fight against cancer too. Not to mention someone like you who is an inspiration to find the good in all things and remember to enjoy the small things we often take for granted. Cancer certainly does give one a different perspective and changes one’s priorities. Love YOU Michelle! Thank you Sue – We are both warriors in life! A positive spirit, enjoying FUN times, and having support from our family and friends is what keeps us going. Love you back!